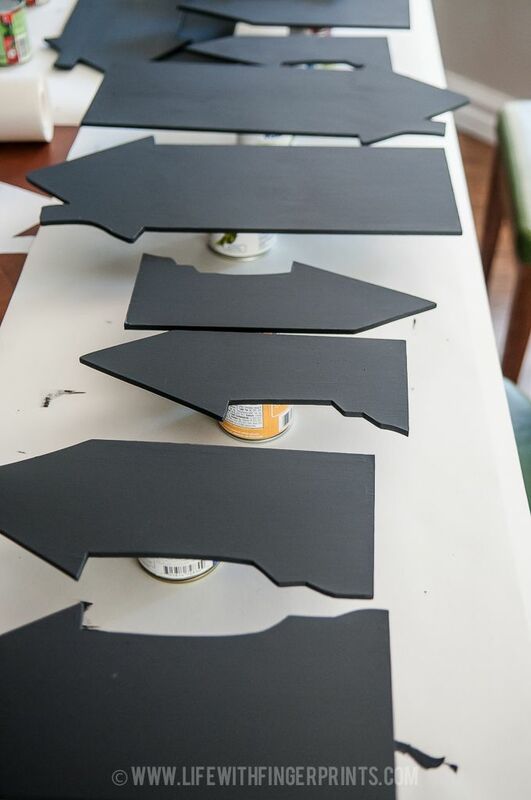 When my bff and crafting buddy came to visit a couple weeks back, I taught her how to use the jig saw. 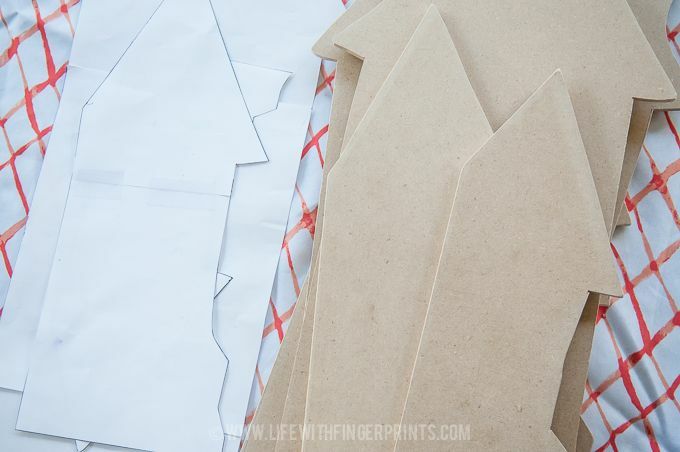 She had never used one before and she made these with ease, that’s how easy this is. You might remember my large scale Halloween town that sits behind my dining room table. 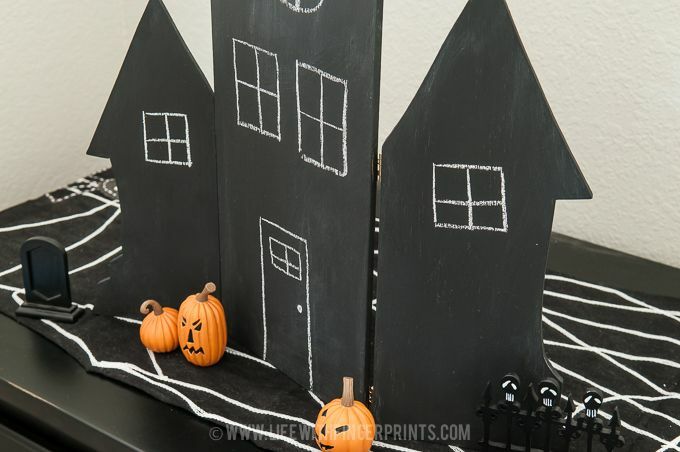 I created a pattern off of them and made some table size chalkboard Halloween decor – spooky village that is just as fun and cute. 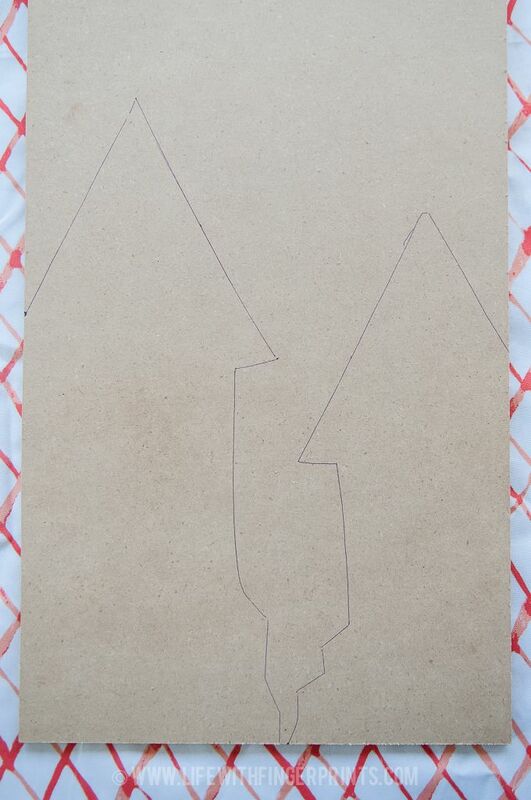 Download the pattern and print it to scale over a couple pages – the tallest house is 22″. 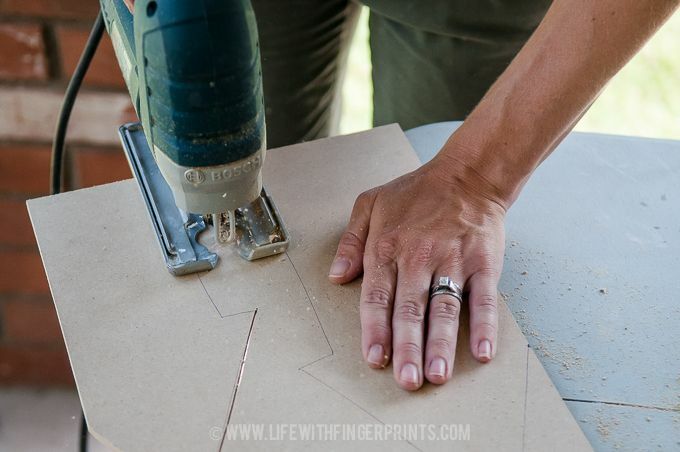 Trace the pattern onto MDF and cut using the jigsaw. 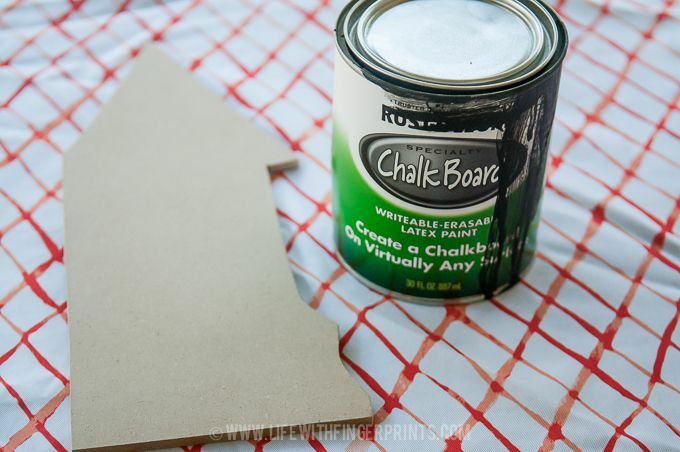 We painted the houses with chalkboard paint – however I’m thinking black glitter would also be fantastic. 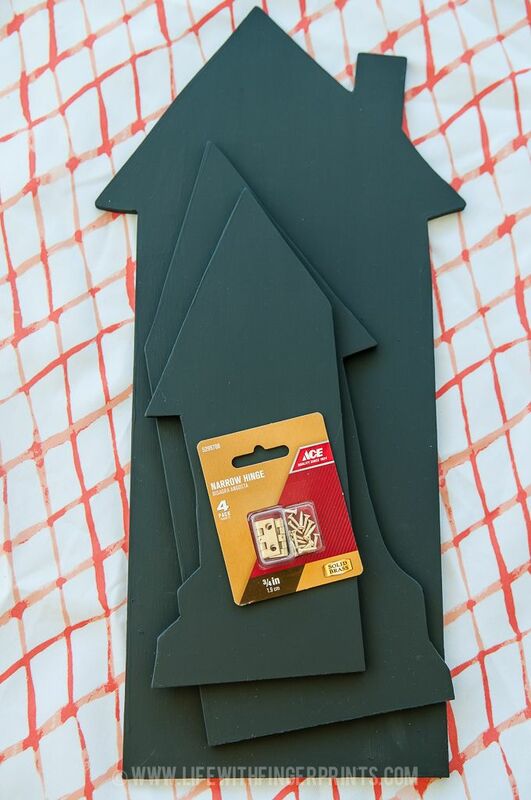 In order for the houses to stand up connect them using small hinges. 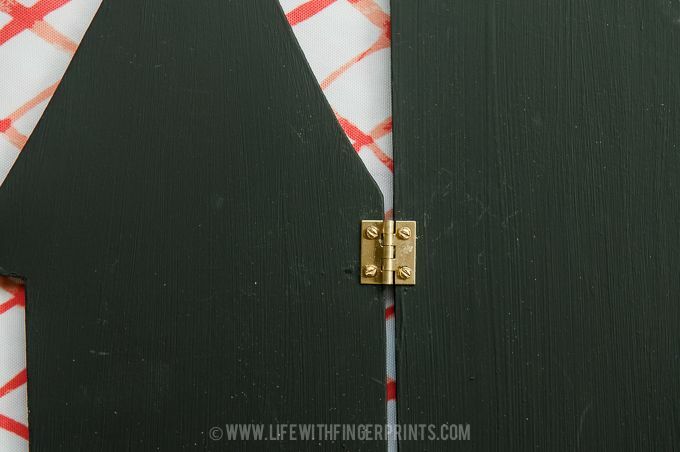 One tip: when installing the hinges, space the houses apart as far as possible which will give you more movement of the hinge. 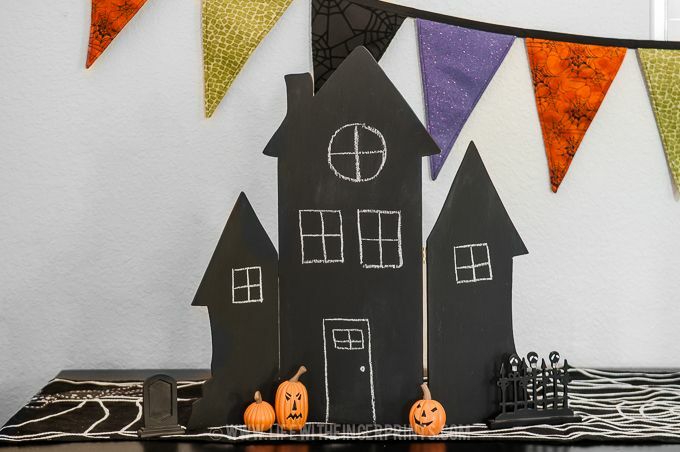 Dress them up with some chalk drawings and you’re set. What a fun project. My kids would probably want to draw ghosts and all kids of spooky things. I need to take a basic wood working class when my kids get bigger. I think ghosts and spooky things would be fun! I built my first project when I had a 4 year old and 1 year old and I honestly watched youtube videos and asked the guys at Home Depot for advice. Got to start somewhere. Good luck! I just read your post about your table. You are so talented and determined. Very impressive. I've been saying that for awhile now!